Here are some of the "Best of the Best" Projects and "How-To" Pages I've wandered upon in my treks across the Net. Resistor color code - yes the much sought after color code chart. Component Database Server - Visual Identification of components including utilities to identify component part numbers. Spider Beam - Tribander yagi for 20/15/10m, made of fiberglass and wire. Antennas, some rules of thumb for beginners - Every now and then beginners, afraid of making the wrong choice, ask for antenna suggestions. Passive Antenna Re-radiators - Again in response to some considerable interest I have posted some project ideas for receiving difficulties for you to construct passive antenna re-radiators or "sort" of Q multipliers. Active Receiving Antennas - a discussion on some of the principles and justifications behind the design of active receiving antennas for radio projects. Astron Power Supply Meter Modifications - analog meters replaced with digital panel meters. Power Supply - 1 - a tutorial on the basics of designing simple power supplies for radio projects. Power Supply - 2 - regulation of power supply voltages. Power Supply - 3 - designing with solid state regulators as well as using higher current regulators. Power Supply - 4 - a bench variable voltage power supply project for you to construct at home. Active Attenuator - Slightly more complex than the passive attenuator. 555 Time-Difference-Of-Arrival RDF UNIT - Minimum T.D.O.A. Circuit. SIMPLE Time-Difference-Of-Arrival RDF UNIT - A center scale meter shows which way to transmitter. The FOX TIMER - travel alarm used to control 250 milliwatt transmitter. Radio Telescope - In response to some considerable interest I have posted a project for you to construct a 30 Mhz radio telescope.  Design of Voltage Controlled Oscillators - a discussion on some of the principles and justifications behind the design of voltage controlled oscillators or VCO's. Design of Crystal Oscillators - a discussion on some of the principles behind the design of crystal oscillators or VXCO's. LC Meter Project and Kit - Now you can easily build a quality inductance and capacitance meter (LC meter project). Ideal for any serious constructor - designed by Neil Hecht of AADE. Square Wave Signal Generator - Build a basic first class electronic hobbyist test instrument - ideal for trouble shooting. Includes a how to use guide. Excellent beginner project to start your collection of amateur-radio-equipment.